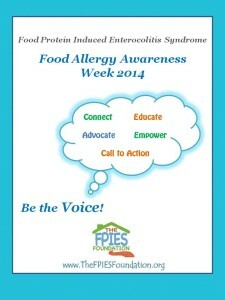 Food Allergy Awareness Week 2014: Be the Voice! In 1998, the Food Allergy & Anaphylaxis Network, now Food Allergy Research and Education Foundation (FARE), created Food Allergy Awareness Week (FAAW) to educate others about food allergies, a potentially life-threatening medical condition. This year, FARE has declared the entire month of May Food Allergy Action Month! We invite you to use this month to help us continue to build awareness with us for Food Protein-Induced Enterocolitis Syndrome (FPIES). In honor of this week, we are releasing the latest survey as part of our ongoing partnership with the NIH-funded Connect program through Patient Crossroads. Once again confirming The FPIES Foundation’s commitment to furthering research for this little understood diagnosis. This week, we have invited you to join us and ‘Be the Voice’ for FPIES during Food Allergy Awareness Week in your community with our awareness tools and by joining in our social media campaigns. Remember– raising awareness does not have to be elaborate or involve planning large events. Raising awareness can be simple and start with a single conversation. It starts with ONE. ‘Be the Voice’ to increase FPIES awareness! Print and share FPIES At A Glance in your community. 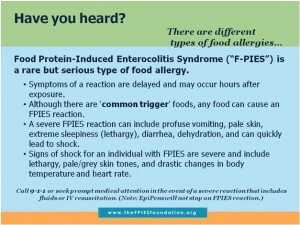 Visit our FPIES Awareness page to print community awareness cards, rack cards, flyers and more to bring to your teachers, doctors, schools, and medical providers. Purchase Awareness Gear and“Be Brave” Bravelets to wear your awareness. Our voices together will educate, empower, and connect; our united voices will advocate for change and call to action in order to truly impact improved standards of care. Help those affected today and tomorrow! It starts with one, it starts with you. 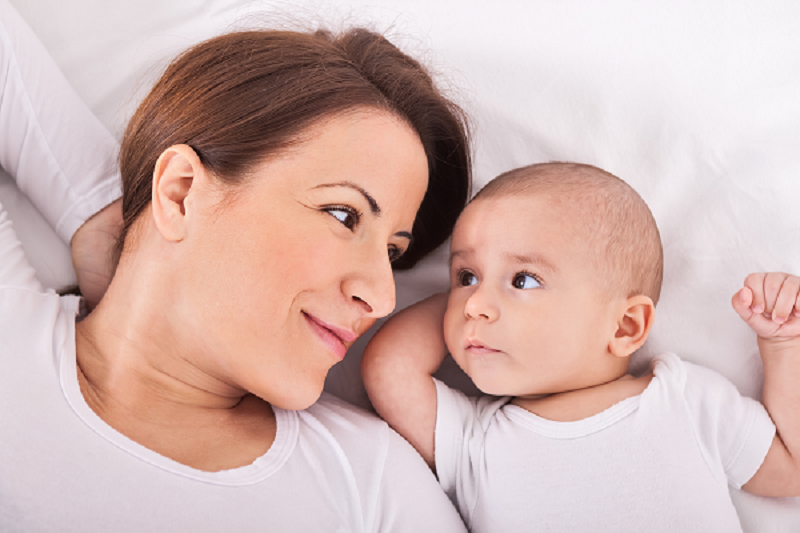 Read how Your Voice: can be a part of inspiring FPIES research! Let’s Connect all of our voices through the FPIES Global Registry today! This post was written by the Executive Board of The FPIES Foundation.